Provided to our clients is superior quality OT & ICU Pendant to the esteemed customers in varied specifications. These pendants are designed in compliance with the international quality standards, at our state-of-the-art production unit. 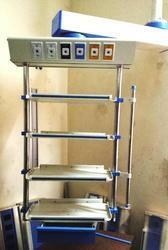 Moreover, these products are highly demanded in several medical sectors for their perfect design and light in weight. In our product range, we offer Single Arm Pendant, Rigid Swilling /ICU Pendants, Rigid Pendants and others. 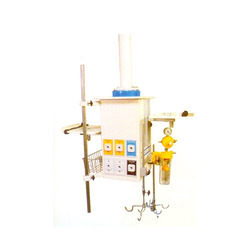 We are instrumental in offering genuine quality ICU Pendant to the esteemed customers at highly competitive prices. 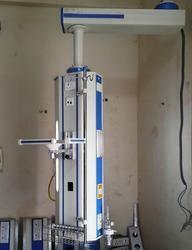 These pendants have provision for two oxygen, one N20, two vacuum and one compressor air gas outlets. Moreover, ICU Pendants have twin 5/15 Amp electrical sockets, four splash proof type and two I.V. Hooks. 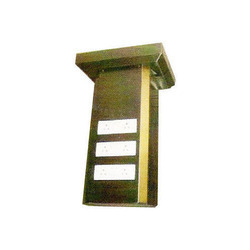 Our range has provision of monitor tray on one side of the pendant. We are engaged in offering high quality Rigid Pendant to the esteemed customers, as per their specific needs. These Rigid Pendants are manufactured as per clients' exact requirements. In addition to this, we check the entire range on certain well-defined parameters to gauge its defect-free nature, before its dispatch to the clients' end.